Recognizing the need in the area for a reliable and dependable source of fasteners, coating, safety and janitorial supplies for its own diverse businesses, Cascade Lumber has entered the Industrial and Commercial Sales market known by the acronym INCOM. Al Blatz has recently assumed the role of account executive for the Industrial and Commercial division (INCOM) of Cascade Lumber Company. He will reach out to industrial and commercial customers in the area helping them to find quality products in a timely fashion at a competitive price. 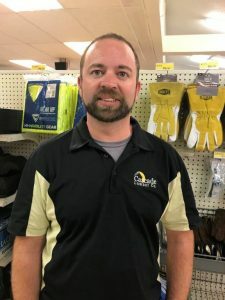 Al will continue to serve as a manager of Cascade Lumber’s retail store in Cascade while serving the local industrial, manufacturing, and institutional accounts in the Tri-State area.